Bored of your hairstyle and in need of some inspiration? Here is a sneak peek at some of the hottest hairstyles and trends for 2018. Curtain bangs have been seen on numerous celebrities in recent months, from Jennifer Lopez to Lady Gaga to Halle Berry. Unlike other bang styles, which focus on different ways to cut the actual fringe, this one is more about how you style your bangs. Rather than leaving them hanging straight down, divide your bangs in two and then wrap each side around a circular brush. You will need to use a hairdryer to really push your hair to each side, as this will help to break up your existing part. Try to create a C-shape when styling curtain bangs, although feel free to experiment with different types of Cs. The exact way in which your bangs fall should depend on your face shape, as well as the facial features that you are trying to accentuate. There are so many celebrities that have recently worn this style, so be sure to take a look at red carpet photographs for inspiration. Hairstyles that feature center parts are bang on trend for 2018, and, since this only refers to the part, that means that the rest of the style is up to you to create. Do you usually wear your hair in a side part? If so, you need to keep in mind that it can actually be quite difficult re-training it into a center part. 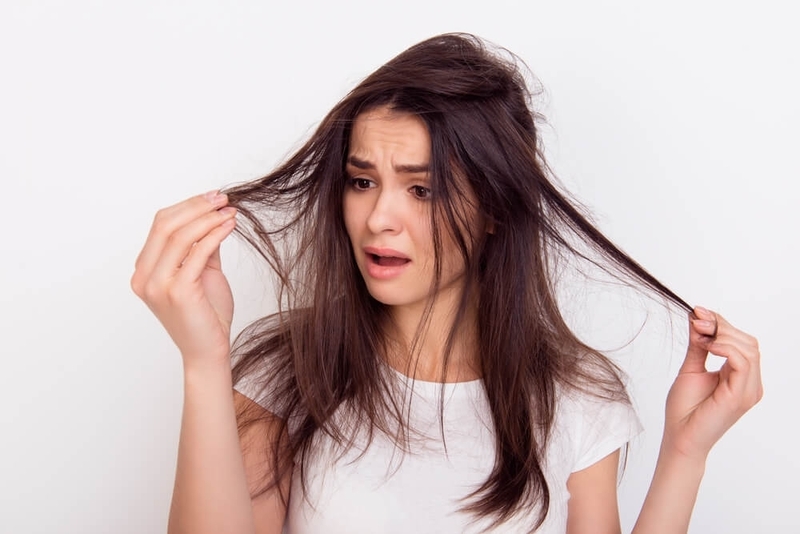 After washing your hair, you will likely find that your hair tends to naturally fall back into its side part, so you need to get around this by blow drying it into a center part while it is still wet. You will need to re-wet your hair, and continue doing so until you have gotten it into the position that you want it in. Begin by using hot air to put it into the center part position, but then end with cold air, as this is what will help to set it in place. 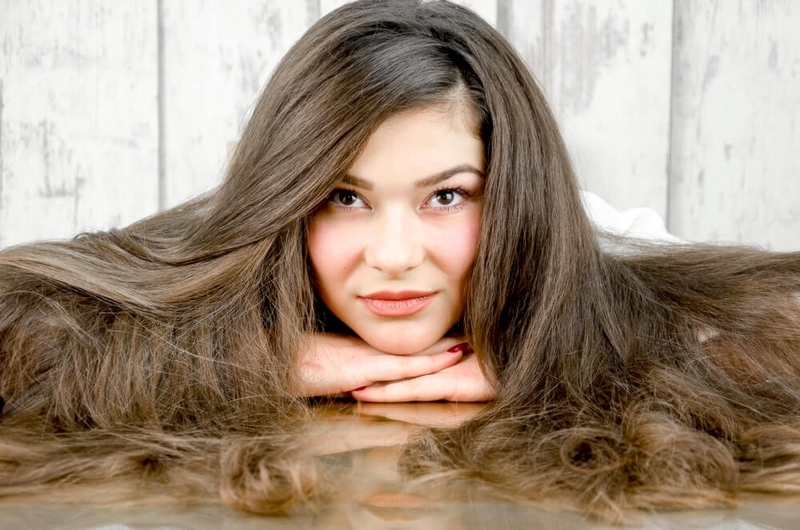 With all of this blow drying, it goes without saying that you need to use a heat protecting product before you begin. Braids are set to be just about everywhere in 2018, with just about every type of braid taking center stage. 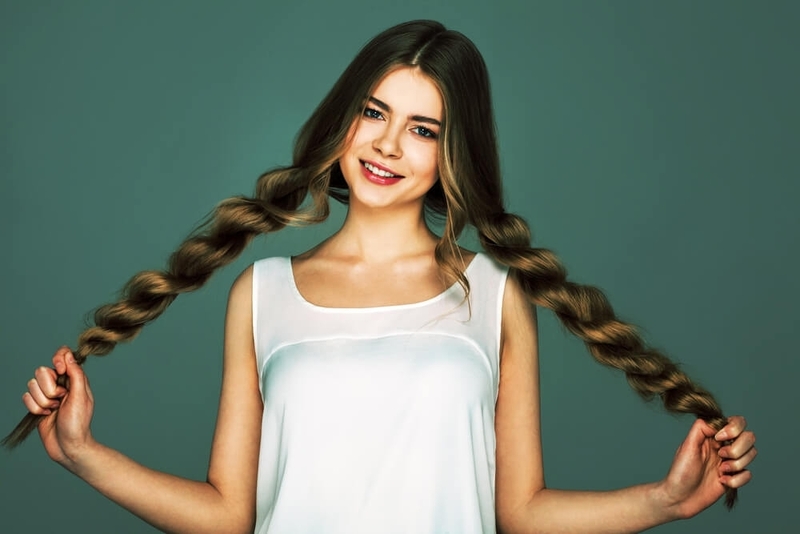 While most people are adept at doing a standard three-strand braid, there are so many other braids out there, as well as plenty of YouTube tutorials to take you through each step. Although cornrows are technically a type of braid, they are special enough to deserve a section all to themselves. 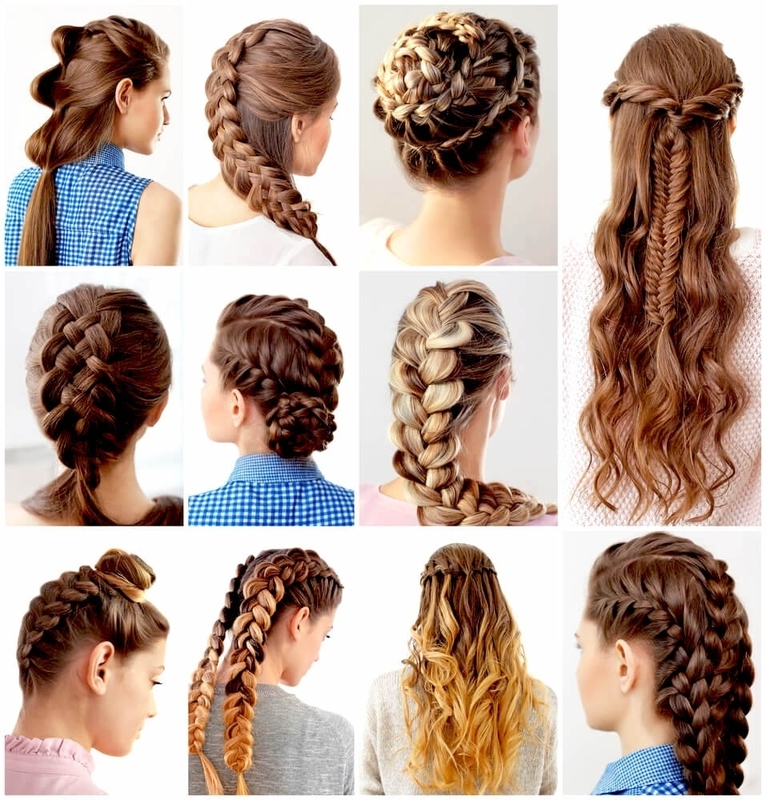 They are braids that cover the entire head, with each individual braid somewhat resembling a French braid. Cornrow braids are extremely small, and are done close to the head. While this is a traditional African hairstyle, it works with a variety of different hair types. However, cornrows are quite a meticulous style to create, and it can often be much simpler to have them done professionally. The most important thing to remember is not to rush, and to really take your time. Another common mistake that beginners make is tying each braid too tightly. 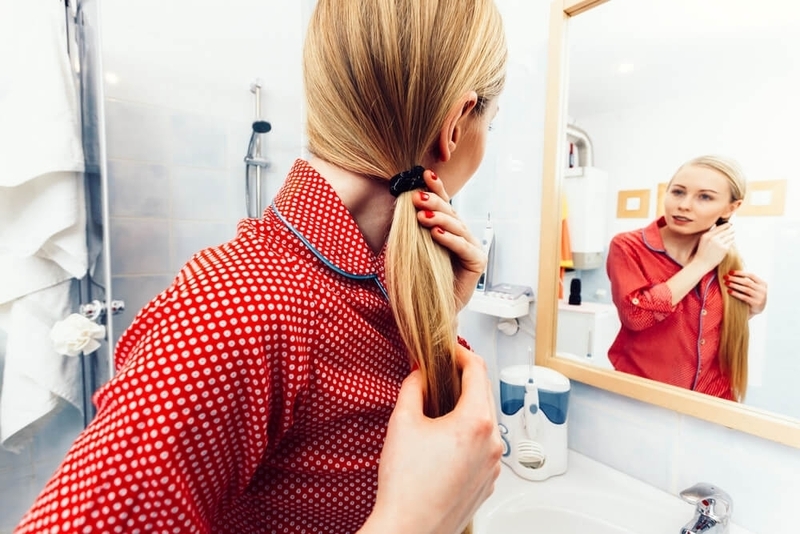 While this may make them last for a little longer, it will also lead to hair loss, which is something that nobody wants. Casual and messy, top knots have been popular for quite a while now. However, while this may be a style that you tend to tie your hair in when you do not have time to do anything else, you can now confidently rock your top knot outside of your home. Whether you do a half up, half down top knot, or even a slicked, sumo top knot, this is a style that you can really get creative with, making it your very own. Pixie cuts are going to be trending big time in 2018, which will be a huge relief to many women out there. Why is the pixie cut loved so much? Because not only is it convenient, but it is also a short hairstyle that still manages to look feminine and pretty. Being a short hairstyle, this is one that will really accentuate your features, making your face look brighter and sharper. Another bonus is that it works for just about every hair type out there. Hairstylists around the world agree that the all-natural afro is going to be in the running for being the best hairstyle of 2018. Let your afro really be natural, and refrain from using too much product. For women who naturally have this hair type, this is great news for you. 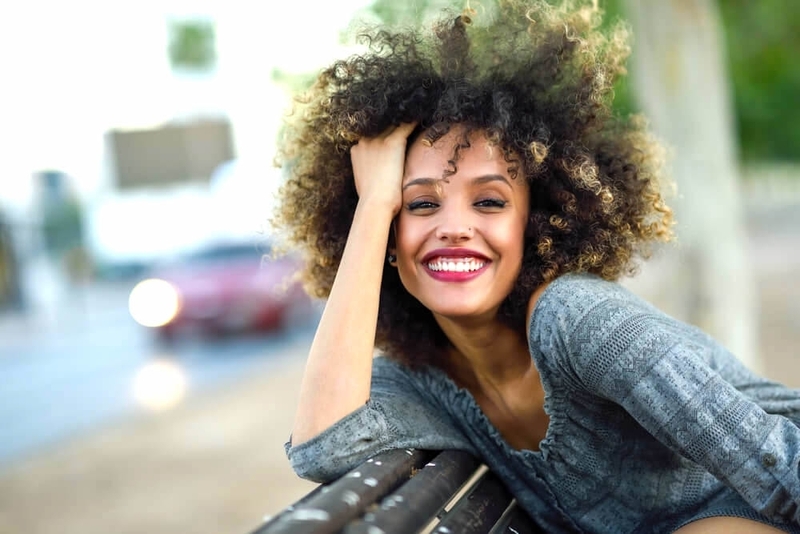 However, an afro, with its tight curls, is naturally prone to damage, so you need to ensure that you are taking extra care of your hair if you want it to really make a statement. Boyish and androgynous hairstyles are going to be huge in 2018. Because they have finally been accepted as quite mainstream, giving people more of a chance to experiment with gender, fashion and style. Like the androgynous look but do not want to take it to the extreme? Have you ever wondered what you would look like with short hair, but are not willing to take the risk and have it all chopped off? Well, one of the hottest hairstyles for 2018 is faux short hair, meaning that it is coiled onto the scalp and then pinned in place, up off the neck, giving off the illusion of short hair. But, as Tom Ford’s hairstylist says, “wigs are tired”, and this style gives women the option of being able to really enjoy having a short hairstyle for the night. You will need to use an endless supply of bobby pins in order to properly achieve this look. Like the idea of this look but prefer keeping some length? The bob was one of the biggest hair trends for 2017, but this was more sleek and straight. 2018 sees a different take on the bob take the spotlight, with waves being key. When using a curling iron to add the waves to your bob, keep in mind that the bigger the barrel, the looser the curl, meaning that the smaller the barrel, the tighter the curl. In addition to the center part, the deep side part will also be making quite a few appearances in 2018. While this look can be worn as an every day one, it does tend to suit special occasions quite well. Because it creates the perfect canvas for a pair of long and dramatic earrings. Although you need to make sure that your hair is tucked behind your ears for this, which will also really show off your cheekbones and your jawline. Wondering if this look would suit you? The answer is yes, because this style is one that is extremely flattering, and will complement every face shape. It also softens any harsh features, and, if you have quite a bit of asymmetry in your face, this style will balance that out. If you style your part so that it is pointing to the highest point of your eyebrow arch, this will draw attention to your eyes, and add so much more intensity to any makeup that you are wearing. To do this, line a comb up with the highest point of your eyebrow arch, and then use this as a guide when creating your part.